A new platform inspired by the world’s best design teams. Design, prototype, and animate—all in one place. Jump right into the screen design process with InVision Studio's intuitive vector-based drawing capabilities. With flexible layers and an infinite canvas, it’s easy to turn ideas into powerful design. Studio’s best-in-class layout engine lets you quickly and easily design, adjust, and scale your vision to fit any screen or layout automatically. Create fluid interactions and high-fidelity prototypes faster than ever—and then preview your work directly within Studio. Frictionless screen animations get you to the fine-tuning stage faster. Animation isn’t an extra process—it happens directly in Studio as you design. 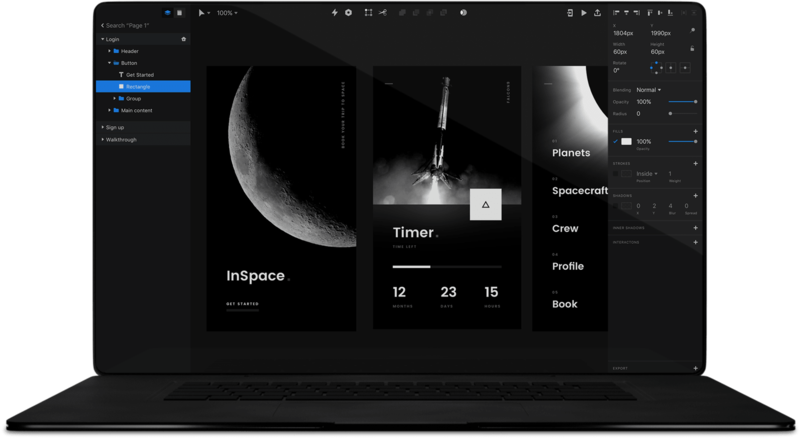 Shared component libraries are built right into InVision Studio, guaranteeing design teams stay consistent, connected, and up to date. 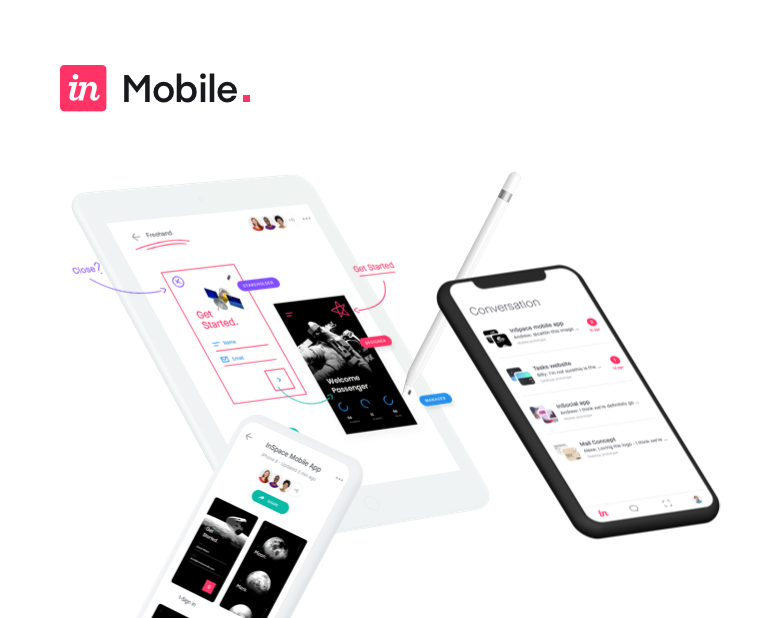 Studio’s connection to the entire InVision platform means instant collaboration for your whole team. From start to finish, you’re working together better than ever before. Get inspired by freestyle design videos featuring InVision pros putting Studio through the paces.